I too follow Jack’s podcast and have been inspired to start blogging and gardening. I wanted to ask you about your experience with the online PDC. Given that it’s online, did it have a hands-on component as homework on ones own property? Did it include any earth works? I appreciate your input. You have a nice web site. How far north are you from Austin? I didn’t know you could still get acreage near Austin. UT is my alma mater. I currently find myself in DFW. The online PDC was very informative. It fit well with my lifestyle and work environment. I work about 11 hours a day so I was able to watch/listen to the PDC in the background and then re-watch what I wanted to review when I wanted. There wasn’t homework, per se, but you could take what you learned and apply it on your property. You did have the ability to ask questions and then Geoff would do a Q&A session that you could watch after they produced it. He has an excellent support staff and a professional presentation. 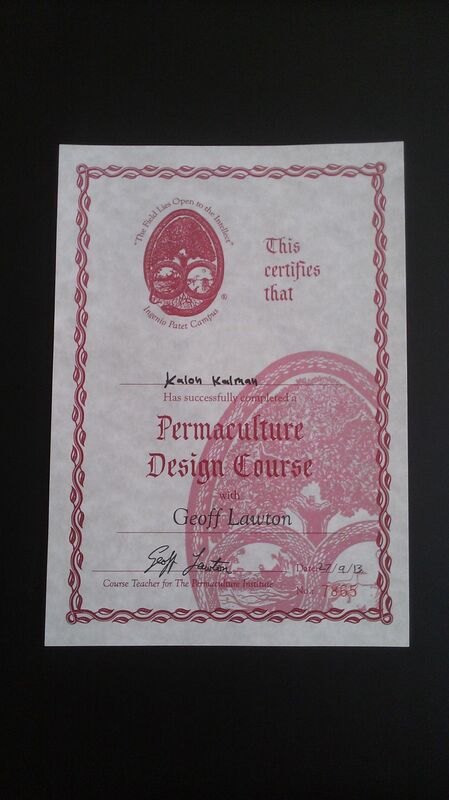 The online course has an earthworks section as it is taught from the Permaculture Designer’s Manual. As an added bonus, Geoff released his Earthworks Course video series that you had full access to. This added a visual learning experience that I benefited greatly from. I live on the outskirts of Austin. There are several outlying towns: Cedar Park, Leander, Liberty Hill, Taylor, Georgetown and Round Rock. There is acreage, but you have to look hard for it. I currently live about 15 miles north of Austin and I have lived in Austin almost my whole life. Thank you so much for the visit to my site and your kind words. Glad to meet you!